The stop opened at 3023 W. Diversey in May. 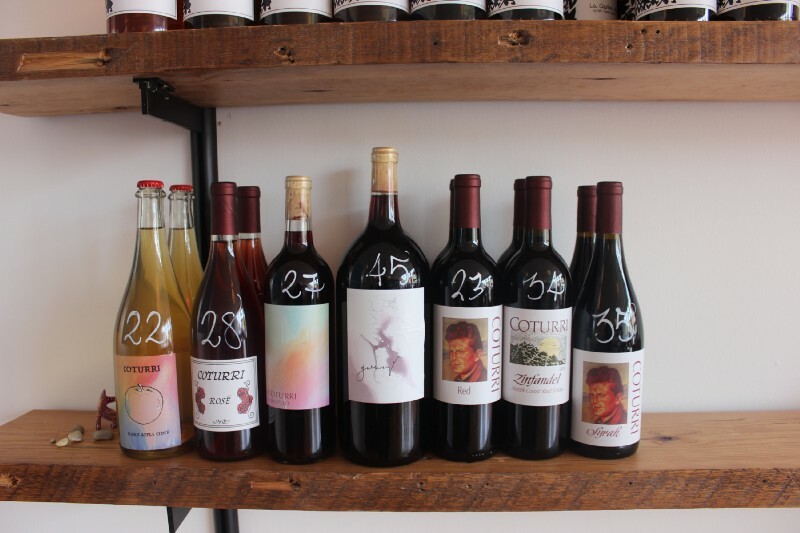 LOGAN SQUARE — A shop selling an array of natural wine not commonly found in Chicago has opened next to Cellar Door Provisions in Logan Square. Bradford Taylor, who moved to Chicago a couple of years ago by way of Oakland, Calif., is behind Diversey Wine, at 3023 W. Diversey Ave., which celebrated its grand opening Saturday. The sole focus of the shop is natural wine, or wine that is naturally fermented and made with minimal chemical intervention. Prices range from around $20 to $75 per bottle, but most bottles cost between $25–35. Taylor is an experienced wine connoisseur, having traveled to several European vineyards before opening Ordinaire, a successful wine shop and bar in Oakland, Calif. The wine sold in the shop is primarily made in Spain, Italy and France. He said he’s looking to bring unique brands to Chicago, and to Cellar Dollar Provisions. The wine shop will act as Cellar Door’s sister business, curating the eatery’s wine list. A few brands Taylor is currently excited about include Une Tranche Nouvelle by Gerard Belaid, LA Clarine Farm out of Somerset, Calif. and Cantina Giardino from the hills of Campania, Italy — all wine that you can’t easily find in Chicago, if at all. Don’t expect to see a Pinot Grigio or Chardonnay section at Diversey Wine, Taylor warned. All of the wine sold in the shop is organized by maker and region, which is by design. “It’s about appreciating the humans behind the products,” Taylor said. In addition to selling bottles of wines, the shop will also host $10 tastings every Sunday featuring the wine makers themselves. The fee will be waived for customers who spend more than $100 at the shop. Taylor is also rolling out a wine club, which includes two bottles of wine and 10% off all purchases for $50 per month. Wine tastings are free for club members. Taylor’s friend Mac Parsons, a fan of Ordinaire who has also traveled to vineyards in various European countries, is helping run the shop as co-manager. The pair is looking to create community around special wine, the same way Cellar Door Provisions creates community around special food, Taylor said. “Sometimes in California and New York, there’s a preconception about what wine is, and what it’s supposed to be. That doesn’t exist as much here, which I think is a strength,” Taylor said. Diversey Wine, 3023 W. Diversey Ave.